Can You Weight Lift After Having a Heart Valve Replaced? Exercise is often included as part of long-term therapy for any form of heart surgery. Most of the exercise focuses on walking or biking, either of which can be used to gradually increase heart rate as a way to improve fitness and work the muscles of the heart. But strength training also can be part of your workout routine, but certain restrictions apply. The first six weeks following heart valve replacement demand the most restrictions when it comes to exercise, limiting the weight lifted to under 8 to 10 lbs. This is at least partly due to the procedure itself. During open-heart surgery, your surgeon must split the breastbone to access the valve. Lifting more than this weight can lead to a separation of the breastbone, keeping the surgical site from healing properly. After six weeks — and with your doctor’s approval — you usually can include some strength-training activities into your workout routine. The weight, however, is often limited to no more 30 lbs. for the next three months, advises the School of Medicine and Public Health at the University of Wisconsin-Madison. Lifting weights, especially heavy loads, tends to increase blood pressure momentarily. This heightens the force placed on the valves, which might affect their healing. Depending on your health, fitness level and recovery, your doctor might give you the OK to increase the weight used for strength training after three months, but you’ll likely still need to follow some restrictions when it comes to workload. 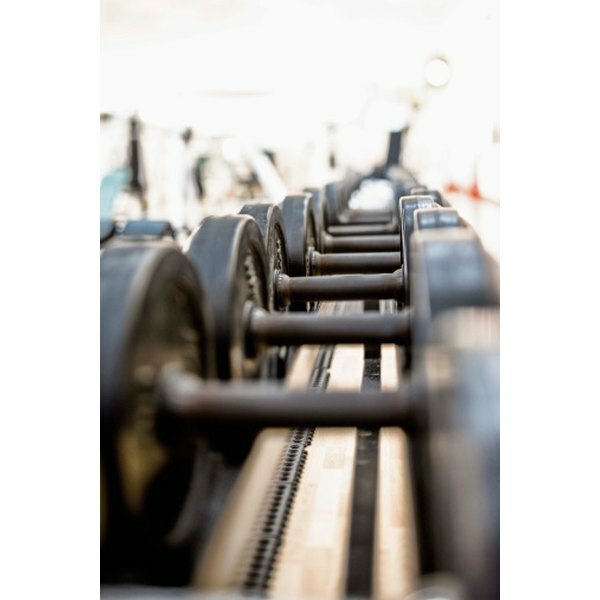 Since lifting weights can cause spikes in blood pressure, it isn’t uncommon to limit workload below a certain percentage of your maximum muscle power, which is loosely defined as the maximum weight you can lift for one repetition. Keeping your workload at no more than 50 percent of maximum appears to be best. It isn’t until this workload reaches 65 percent to 85 percent of maximum that problems appear. The same can be said for completing more than 15 repetitions at a time or holding a workload for longer than 20 seconds. If lifting weights causes chest pain or shortness of breath, call a doctor immediately. This chest pain is different from incision pain. Discomfort that feels like squeezing pressure, radiates beyond the chest or is unaffected by rest is often an indication that something is wrong. Irregular heartbeats should be monitored and reported to your doctor. What Are the Dangers of Children Wearing Heavy Backpacks?